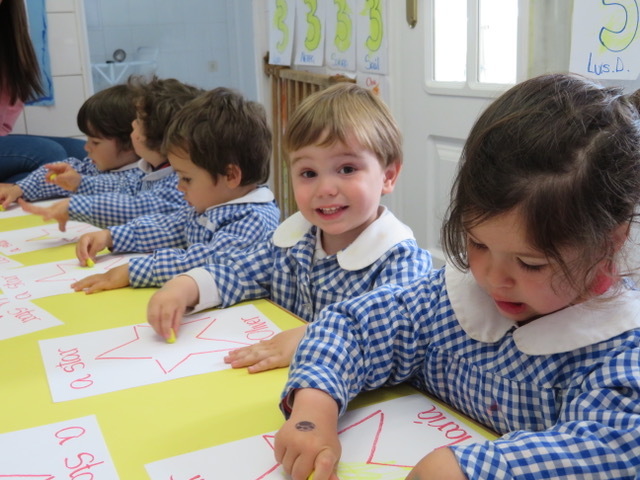 What Makes Our Nursery School different? We have received North American and International accreditation from Middle States Association of Colleges and Schools, Philadelphia, Pennsylvania. This is a seal of excellence that confirms high quality early education in English. 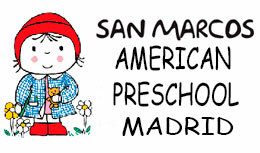 We are recognized by the US Embassy in Madrid as an American school in Spain. The academic curriculum is fully in English. The school was created in 1973 by the current director Ellen Conway. It is an English-speaking school. More than 80% of our educational staff are native speakers. We follow a North American curriculum, High Scope Preschool. All of our activity has a Montessori focus. The school is small and family oriented – there are only two classrooms. 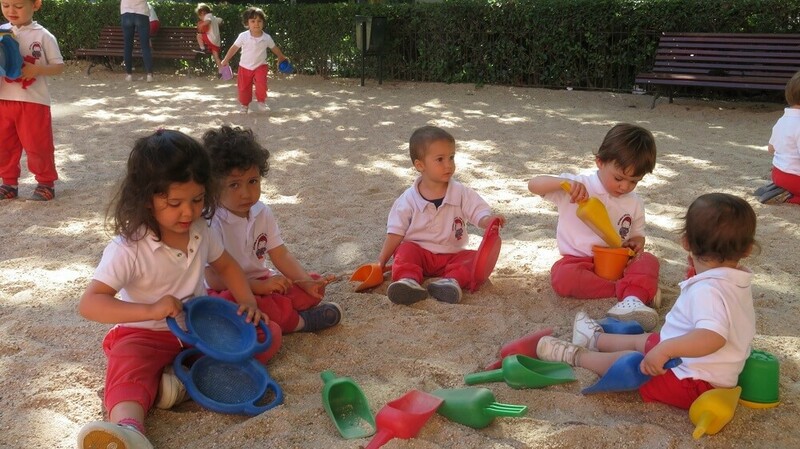 The children play outside daily in the fresh air and sunshine in the morning and afternoon.